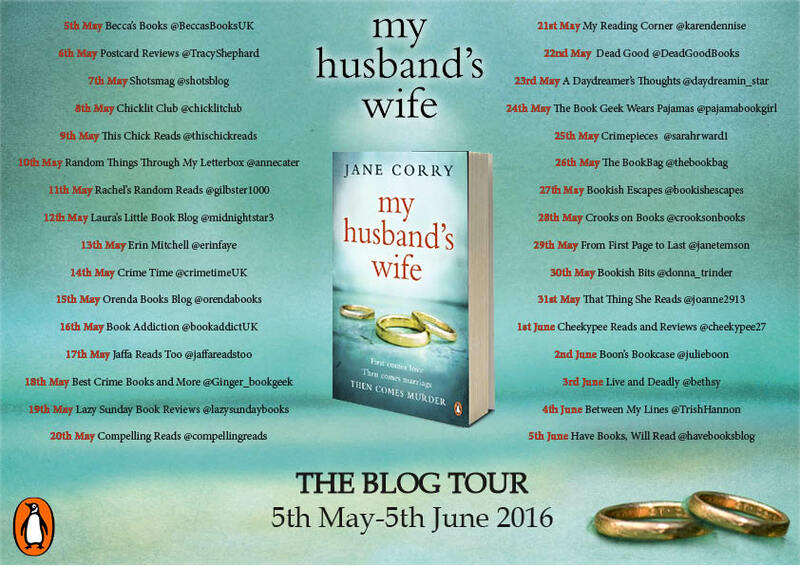 I am delighed to be part of this major blog tour for My Husband's Wife by Jane Corry and even more thrilled that I can share a wonderful interview with the lady herself. 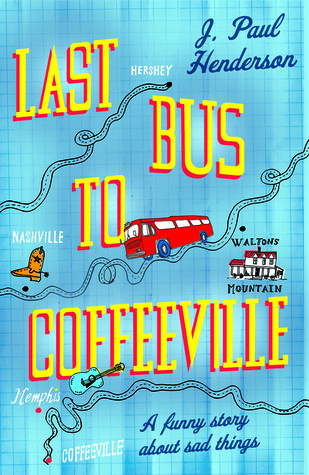 As always don't forget to follow along the tour- all the other stops listed below. 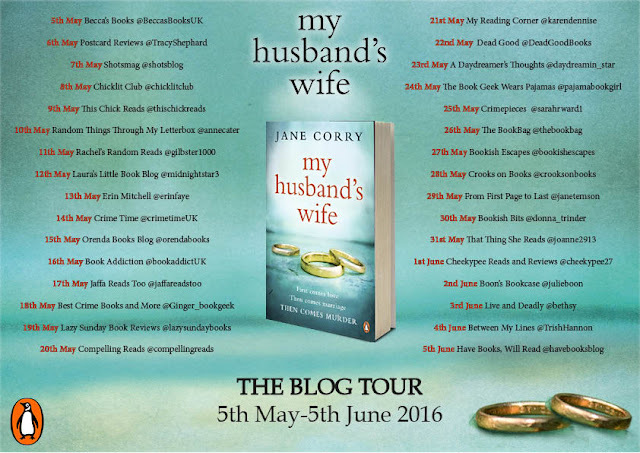 Hello Jane and welcome to the blog! First off to start with an obvious question, can you please tell us a little bit about your book My Husband’s Wife. 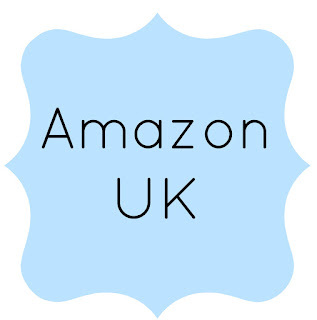 Thanks, Laura, for inviting me onto your blog ! My novel is about a first and second wife and also a criminal whom the first wife defends in court. It's full of twists and turns. The characters don't behave as you might expect. But most important, the little lies get bigger and bigger. Partly because I was writer in residence of a high security male prison. And also because both my first husband and I went on to marry other people. It made me think about relationships between first and second wives. Why should they be hostile towards each other? What if something happened that drew them together? Are there any writers out there that you think influenced you? I don't believe I've been influenced by anyone. In fact I like to read books that are different from my own genre. I particularly love books by Anne Tyler, Fay Weldon and Alice Munro. But equally I adore Jane Eyre. What was the most surprising thing you learned from writing your book? That I could write very dark scenes that shocked me and came out of nowhere. I've warned my family! What do you think makes this stand out from other thrillers out there at the moment? It's based on a very possible domestic situation. This could almost happen to any of us. Yes. As a child I wrote stories from the minute I held a pencil in my hand. But I've always been hopeless at maths! That's an interesting question. Actually I don't think I would. But I had to think for a minute. My Brilliant Friend by Elena Ferrante. The title kept cropping up so I thought I'd see what it was all about. It's very different but I'm enjoying it. In some ways it reminds me of my own time growing up in suburban Harrow.